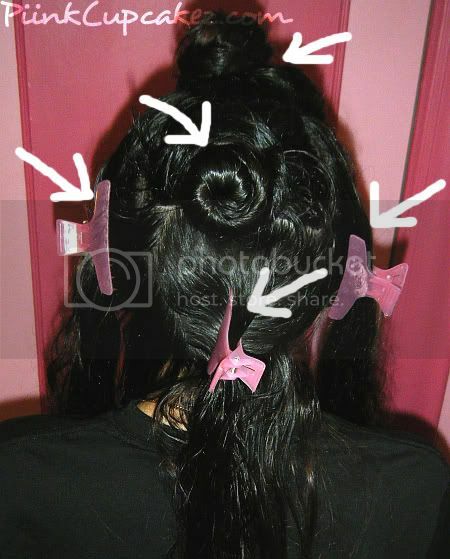 In my NYE outfit post I said I would show you how I did my hair.. so here it is! If you've ever had your hair in a braid I'm sure you have noticed the gorgeous waves it leaves behind. The same waves you get from clamping down on your hair with the damaging heat of a 3 barrel iron. So give your poor hair a break. Instead of destroying it with heat.. braid it! This is an easy overnight process with minimal heat(which is optional). Perfect for us lazy girls. So here it is.. the lazy girls guide to easy waves. 1. While my hair is damp I separate it into 5 sections. This part is really up to you. The sectioning depends on how thick your hair is and the size you want your waves to be. 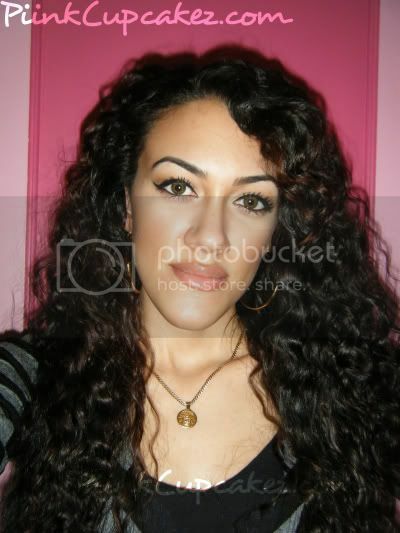 You can apply a shine spray, mousse, or any product you would like to keep your waves looking smooth. 2. Next you will braid each section and secure the ends with hair ties. If you have layers there might be some pieces sticking out.. that's fine. The braids don't have to be perfect. I make 2 braids at the top of my head(1 in the front and 1 behind that at the crown). Creating braids at the top will start the waves higher giving more volume. Then I braid 1 at each side of my head and 1 in the back. The size of the waves also depends on how tight or loose you braid(a tight braid will give smaller waves while a loose braid will give you big waves). Your braids would be bigger and not as tight. 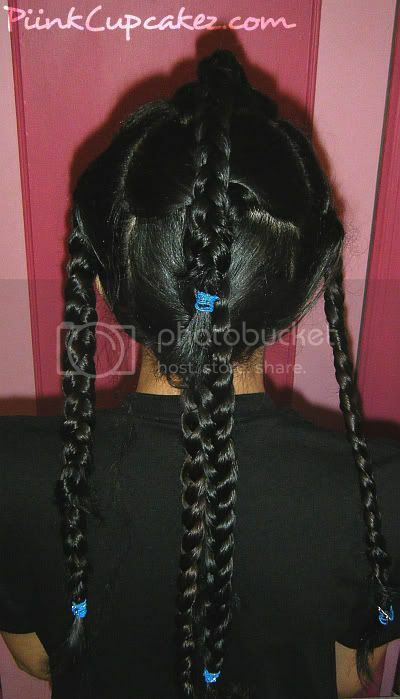 To keep the top flat you would start your braids lower.. not at the top. Instead, of Step 1&2 you can just do french braids which would probably be easier for some of you. 3. Now go to sleep. 4. Now you can remove the hair ties. *Optional* Before unbraiding.. I like to spray the ends with heat protectant and straighten them. 5. 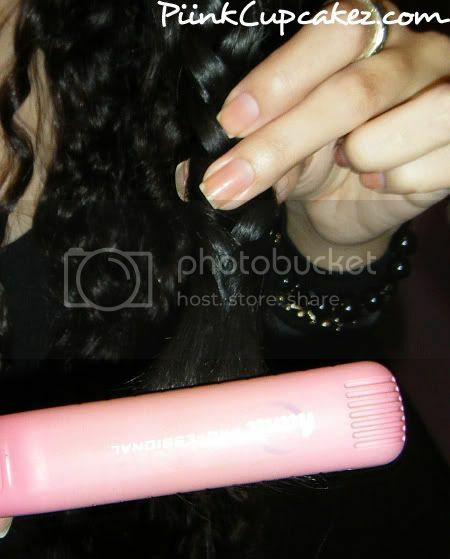 Unbraid and finger comb to separate hair. 6. Apply your shine spray or serum and style hair. I probably made this sound like a lot of work with all the reading you had to do lol but I assure you it's very simple. Braid. Sleep. Wake up with gorgeous waves. Here are some other posts where I've done this to my hair. i love it thanks forsharing this you look gorgeous hope my hair will come out the same. OMG, I've never thought of doing it this way. It's so easy! Thanks for sharing. Wow this seems so simple! I'm going to try it out hopefully it works with my hair!